My name is Eva and I am a master student in New Media & Digital Culture in the University of Amsterdam. I'm interested in innovative and new media marketing and communication, especially in the creative industry. 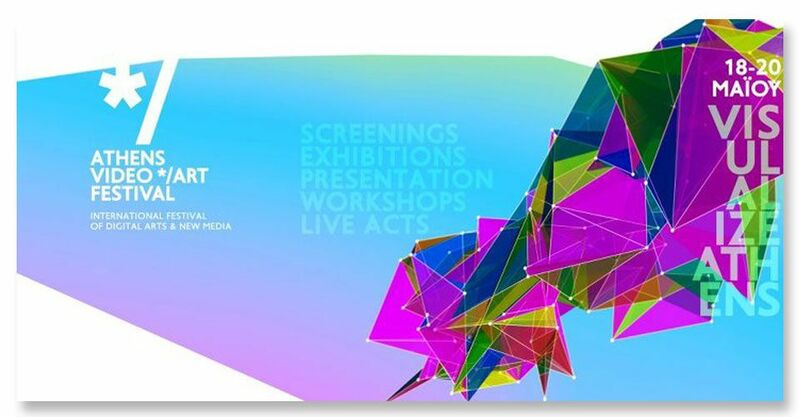 Moreover,I would like to get involved with event / festival marketing and contribute to the art and cultural promotion. Other personal interests: photography,fashion, music. 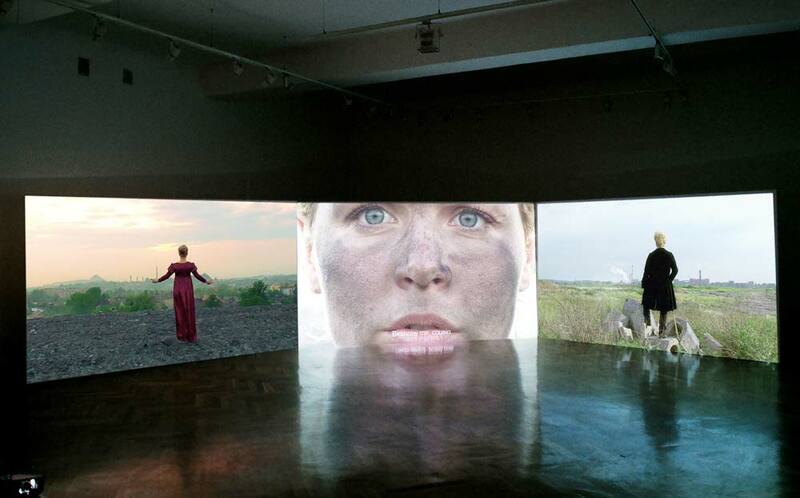 Most of you will be probably familiar with the term of video art, the new emerging movement of art that fascinates people of different background, age and interests worldwide. However, a brief-though concise definition,as given in Wikipedia is the following: Video art is a type of art which relies on moving image and comprises video and/or audio data. To go further to this arising form of art, it should be emphasised that video art is not a threat for traditional arts. On the contrary, it’s a new way of expression that gives the opportunity to the artists, but also amateurs, to communicate each other and create artwork, using the new technologies and the new media. It is, thus, the evolution form of art that keeps up with the changes in social and technological environment. Art, as almost every aspect of our daily life, becomes international, accessible to everyone and vulnerable to criticism. The most promising and well-organised new media festival in Athens, is indisputably the Athens Video Art Festival held every spring, since 2005. Artists from all over the world take part in it exposing their digital art and new media works. 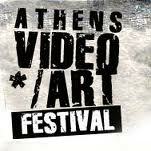 Athens Video Art Festival was founded, as mentioned above, in 2005 in order to enforce this evolving cultural field and incorporate the digital arts and new media in current Greek culture.This significant effort was an initiative of a non-profit organisation, named Multitrab Productions, mainly focused on AVAF. The festival at the beginning, consisted of, merely, video art projects but in next editions it was enriched with installations/ video art installations, performance art, web art, animation and digital image and the last year, added workshops and roundtables to its structure, free to everyone. Incidentally, it is worth mentioning that in 2005 the number of attendees was 1000 and in 2010 the number was, amazingly, increased in 13000! So as to foster the creativity and free communication across borders, AVAF collaborates with educational institutions of Greece, as also with foreign festival of similar content and international organisations. I had the opportunity to attend the last edition of the festival, held in a multivenue in the historic centre of Athens,called Booze Cooperativa (unfortunately, the website is under construction at the moment). The festival lasted 3 days and had about 300 artworks from over 58 different countries.The main concept/title, under which the 8th edition was held was: Visualize Athens and, as written in the press release, was an effort to revive the historic and commercial centre of the city of Athens and start by visualizing the city through perspectives that offer an impressive and multidimensional program to the public. I was there, unfortunately, only the last day of the festival but I have watched several short films, installations and live acts. Here is a Youtube video by artist Monomome, in his project Lost in the Woods, especially made for the AVAF. press release, was an effort to revive the historic and commercial centre of the city of Athens and start by visualizing the city through perspectives that offer an impressive and multidimensional program to the public. One of the short films, really interesting and beautiful, in my opinion, is the one of cinematographer Giorgos Galanopoulos, portraying the formation of the island of Santorini, through the ages and it is the following. It could be considered as another effort to incorporate new media technologies into traditional, or more probably to see tradition and history of Greece, through the lens of the new media art. Except of the projects and the installations, however, the new striking element in the festival, was the set of workshops, for those interested in the innovative and enchanting area of new media technology. Participants could choose between a variety of different themes as: mobile applications design, a really appealing subject, animation/video gaming and sonic sights for the festival. Personally, I consider the workshop help by John Richards, the founder of Dirty Electronics, really fascinating and I think the sharing would be recommendable. But before that, I should explain what exactly Dirty Electronics do. It is a large group of DIY musical instruments members, being active since 2003. The goal of this group is to promote social interaction and communication, through the collaborative thinking and building of an original musical instrument. In the following video, that I have already mentioned above, a musical instrument especially designed for the festival of 2012, is presented and described, named Dirty Electronics 7-segment display,a name given to it due to its technical construction. In this workshop, participants had the chance to interact with each other and under the instructions of John Richards, to build the hand-held device and produce some music with their creations. excellent publish, very informative. I wonder why the opposite experts of this sector do not notice this. You should continue your writing. I’m confident, you have a great readers’ base already!